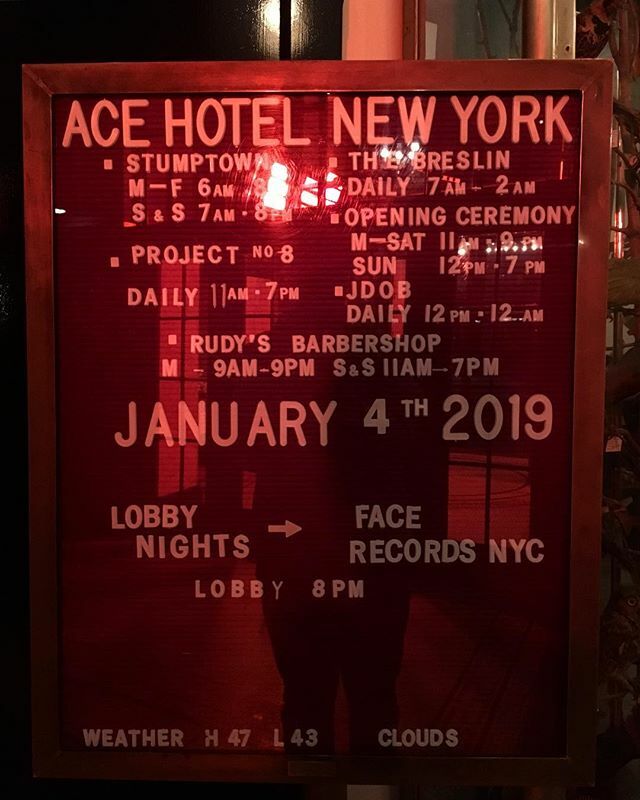 Kicking off our month-long residency ACE HOTEL NEWYORK tonight. Kicking off our month-long residency ACE HOTEL NEWYORK tonight. We are taking over the lobby selections every Friday in January. Prince Klassen tonight with so many other friends of Face the rest of the month. Come hang and vibe with us. Previous Post Yonin Bayashi / Ishoku Sokuhatsu has arrived in FACE RECORDS NYC. Next Post We have good Japanese used vinyls.